This Ongoing War: A Blog: 5-May-13: Self-confessed jihadist murderer: "With my media card, I was able to enter back and forth, undetected..."
Anyone who reads our blog, even occasionally, knows that the double-standards, circumlocations and hypocrisy so manifest in the way certain people, certain institutions, certain major broadcasters, certain other parts of the mainstream media, deal with terrorists, terrorism, terror and the murder of children simply enrage us. We don't see the issues as political. Terrorism is beyond politics. In fact, it's a sort of litmus test. How you deal with terrorism - after you peel away all the double-talk and jargon - determines the sort of human being you are and how others ought to view you. Wall is not marginal to the public discourse of the United States. Nor is he regarded (as far as we can tell) as a shrieking crank or a red-neck. He served as editor of a prominent journal called The Christian Century for 27 years, from 1972 to 1999. Wikipedia calls it "the flagship magazine of U.S. mainline Protestantism" [source]. He continued there as a regular columnist until a few years ago, even after his retirement. Though it appears he has stopped writing for it, his name remains on the masthead as Senior Contributing Editor. These days, Wall writes a blog under the title “Wall Writing”. From where we sit, his output has some quite unpleasant tones. In a December 2011 piece on US politics, for instance, he characterizes pro-Israel Republican candidates as “wear[ing] the Jewish kippah”. But as we learned, Wall is capable of advocacy journalism of a far more pungent sort. In October 2011, he posted a lengthy article to coincide with the extorted release from prison of Ahlam Tamimi, our child's murderer... At about the time he wrote it, in October 2011, an Arab newspaper dotingly quoted Tamimi making this statement: “I have never regretted what I have done, and if given another chance I’ll do it again” [source]. Yet extraordinarily, the Wall piece 'lionizes' her. (That’s the term used by the clear-eyed Christian analyst who pointed us to it). With loving attention to the human aspects of her story, Wall urges his readers to resist the Israeli view of the Jordanian woman's "crimes"; those quote marks around the word crimes appear in Wall's essay. Wall leaves readers in little doubt that the atrocities to which Tamimi confessed in court - atrocities to which she confesses afresh frequently, proudly and in public - were not crimes at all but something very different. [Tamimi’s] crime, for which she was sentenced by a military court for multiple life terms, was for “choosing the location and securing transportation to reach that location”. We can argue, and we have certainly tried to say over and again, that this is an irresponsibly wrong view of what the convicted murderer Ahlam Tamimi did. Today, however, there is no need for us to say it again because she has now said it about as clearly as a person can. We have just seen an Arabic-to-English translation, published in the last few days, of what this psychopathic woman says about herself and about what she did. It’s in a video that has had wide dissemination via YouTube and other channels right across the Arabic-speaking world since its appearance in July 2012. [In case they disappear, the page is archived here. 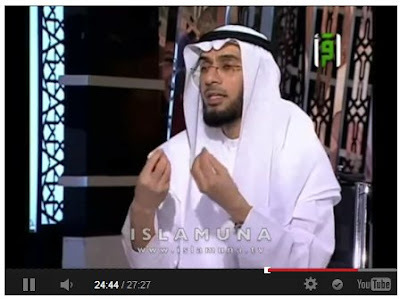 The YouTube clip itself is archived here.] We have asked friends to help us put together a full English translation. Tamimi: I studied all the ideologies of each [terrorist] group in order to decide which one I will join... With my media card I was able to enter back and forth, undetected, to do journalistic interviews in Jerusalem in order to avoid detection by the Zionists. 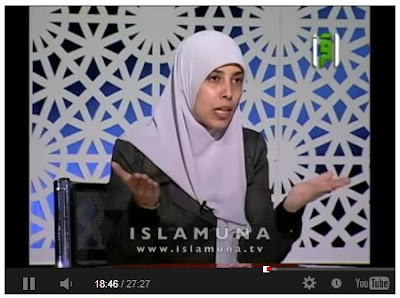 Al-Awadi (her interviewer): So you get in and out as a journalist? There are some life-saving lessons here for what is and is not legitimate to do with reporters in dangerous jihad-infected places and times. And when she cryptically says that the "best device is a favorite drink", she is referring to the bomb, disguised as a beer can, that she placed on the shelf of the basement supermarket in the Mashbir Latzarchan building on King George Street, central Jerusalem, ten days before the Sbarro massacre and only 200 meters up the street from the pizza restaurant. In a little-reported prequel to her career as a terrorist, it exploded but fortunately killed and injured no one. A word about Abdullah Barghouti whom Tamimi mentions in passing. [We have written about him here, here and here.] Barghouti was contracted to custom-assemble the bomb that destroyed the Sbarro restaurant. A clever man with golden hands, he embedded it inside a guitar case to minimize the risk that the man carrying the nail-filled explosive packaged would be intercepted before he brought it to ground zero in the absolute center of Israel's capital city. Tamimi and the young Islamist fanatic who had the bomb on his back passed through the busy Qalandiya security checkpoint en route to Jerusalem. The Israeli soldiers and Border Guard personnel manning the crossing did not stop them, even in a cursory way. Perhaps the sight of a woman dressed in a typically Israeli tank top completed the illusion of a harmless couple of youngsters with music on their minds. Barghouti was not there that day. He was in the midst of his busy season. Bombs delivered up by him to his Hamas clients during 2001 brought about the extremely violent deaths by murder of 66 people. The government of Norway, among the most generous providers of development aid to the Palestinian Authority, is currently wrestling with its conscience over the role it has played in funding the PA’s Rewards-for-Terror scheme. That’s not what they call it, but that assuredly is what it is. (There’s some background here. And keep in mind this is a program of the 'moderate' PA, lead by the 'moderate' Mahmoud Abbas'.) Under the scheme, Barghouti will receive a salary this month, and every month for as long as he remains a prisoner of Israel, equivalent to four times the average salary of a PA government worker. The scheme is highly publicized among Palestinian Arabs because the 'moderate' PA wants its citizens to understand the high priority it gives to acts of child-murdering heroism like those undertaken by Barghouti and Tamimi. Tamimi has always described herself as an agent of Hamas, though on the day she blew up the Sbarro restaurant, she was the on-camera news-reader for the other Palestinian Arabs, the faction that calls itself the PA, the 'moderate' side of the Palestinian Arab world. Few of the Palestinian Arab viewers watching her read the news that night (August 9, 2001) realized what a central role she took in the massacre on which she was reporting. 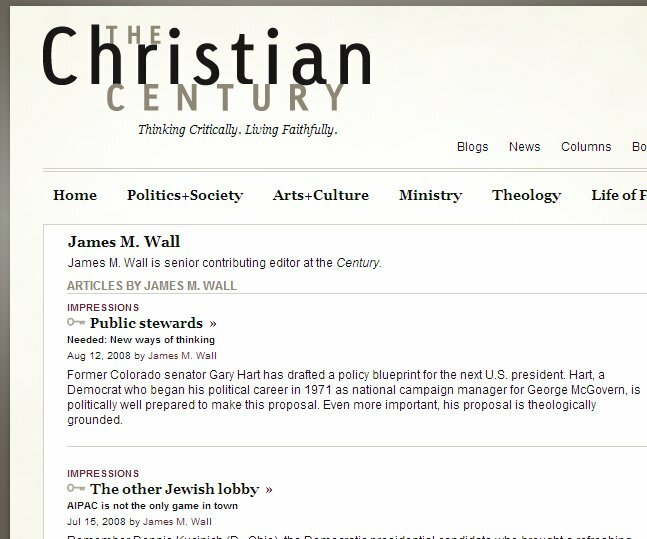 And a word about James M. Wall as well. As we noted last summer, he engages in advocacy for self-admitted murderers and their deeds. In open societies like the US and Israel, it’s something he has the right to do freely, obnoxiously and even offensively. But what does it mean that The Christian Century still has him on its masthead? Does the editorial board agree with his ‘understanding’ of the actions of people who murder children in the name of jihad? Do they disagree? Will they disavow him and them? Are his views Christian? How Christian is it to embrace the unrepentant murderer of children who says she prays for the chance to do it again? Ahlam Tamimi was sentenced to sixteen terms of life imprisonment after her conviction for planning and executing the massacre at central Jerusalem's Sbarro restaurant. 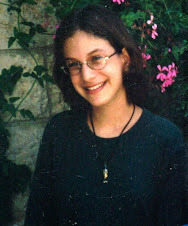 She walked free in October 2011 as one of the 1,027 murderers, jihadists and assorted other terrorists whom Israel bargained away for the freedom of a hostage, Gilad Shalit, held captive for five years by Hamas. Tamimi subsequently married another unjustly freed murderer (her cousin), and is living in total and unfettered freedom in Jordan from where she is a regular broadcaster on the Al-Quds satellite channel (operated by Hamas). She flies freely around the Arab world and YouTube features dozens of her speeches. 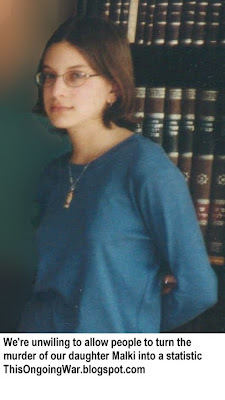 Her relentless encouragement of acts of murder in the name of jihad has made her a figure of admiration and stature throughout the Arab world. Dozens of photographs of her smiling and exultant face are syndicated by the major global newswire services. Her every statement is broadcast and analyzed not only by the terrorists of Hamas and Gaza to whose murderous strand of Islamism she long ago swore allegiance, but also by the mislabeled 'moderates' of Fatah and the PA who are not in the least moderate on the subject of the murder of Jews and the dismemberment of the society we have created here in Israel. The injustice of this person's freedom, and the hypocrisy of those who fail to scream out against it, overwhelm us. They choke us.